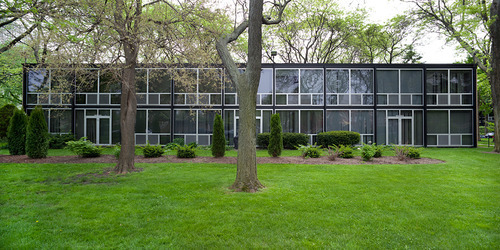 AN ENTIRE RESIDENTIAL NEIGHBORHOOD DESIGNED BY MIES VAN DER ROHE. A CLASSIC EXAMPLE OF HIS CLEAN, SIMPLE STYLE. You are currently reading LAFAYETTE PARK, DETROIT, MI at S E R A .